I was watching “This Old Thing” last night, the vintage clothing programme with Dawn O’Porter who I have a bit of a girl crush on. She was having a conversation with a lady who was a complete vintagephobe and in it summed my ethos to clothes perfectly. Vintagephobe (she has a name, but I forgot it, and it’s 10pm and I don’t care that much) “But that dress, where would I wear something like that?”. Dawn “Just put it on and wear it wherever you like!”. I don’t believe in saving clothes for a special occasion. The days of wearing your “Sunday best” are long since behind us. I want to wear my best every single day. It makes me happy. Every night before I go to bed I have a rummage through my wardrobe and find something to wear for work the next day. Shoes are pulled out, jewellery is selected; it takes less than ten minutes out of the day and is time that I willingly sacrifice to be able to look good the next day. Another ten minutes (ok fifteen) with my makeup bag in the morning and I am good to go, happy and ready to face the world. I still remember going to work every day from head to toe in black. I felt invisible. I made an active choice not to blend into the surroundings any more and now I celebrate the fact that I don’t. 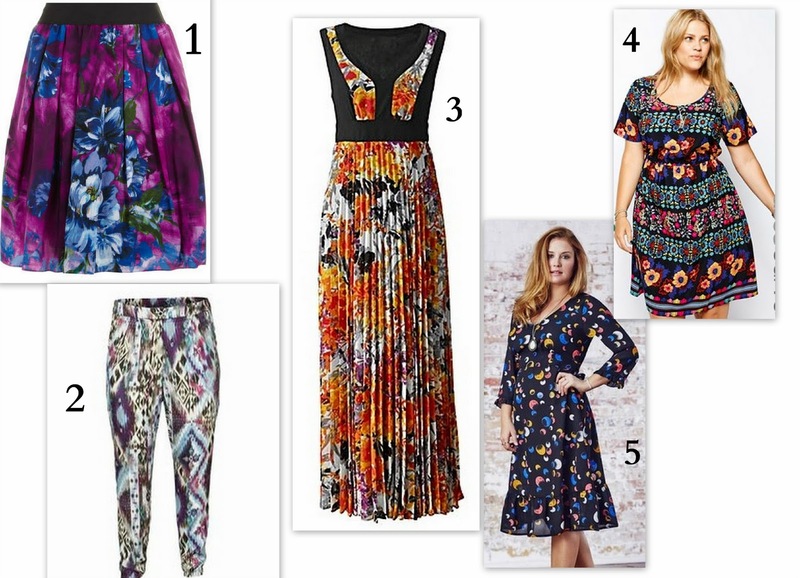 As is well documented in this blog I love bright colours and bold prints so with that in mind, here are my current things on my lusting after list!